2018 was a whirlwind of gamer events and conventions for us. We exhibited at 18 different shows across North America and Europe. That means we were out of the office roughly 93 days out of the year and still managed to put out all the great games we did! Though it’s a lot of work, we love going to so many shows and connecting with you all! We have so much fun demoing at the booth, sharing in your excitement, and enjoying all the new games around! Here are the highlights of each show in 2018. Raiders of the North Sea demos! Learning the way of the alpaca in Altiplano! The star of the show - Alfonso! 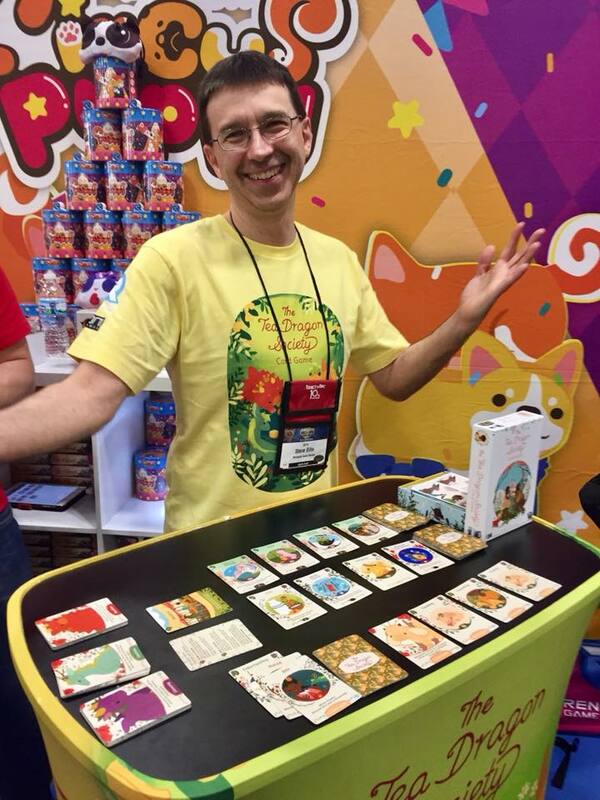 Steve Ellis, co-designer of Tea Dragon Society, overjoyed to give demos! VIP Overlight party with Paul, George, and Kwanchai! Ex Libris won the Best Card Game - Origins Award! 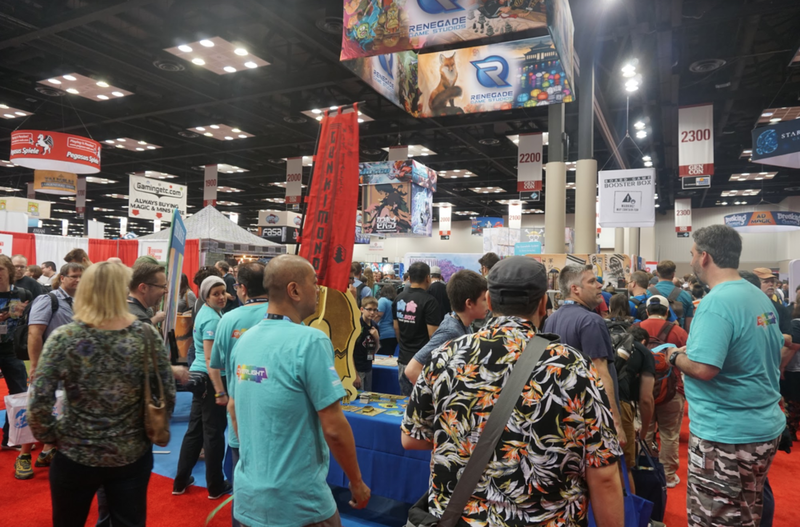 In June, we made our way to Columbus, OH for Origins Game Fair! As the first big show of the year, we were ready to jump into convention season with full force! We had our full catalog for sale, including some new releases (Junk Orbit, The Tea Dragon Society, and Spy Club) which were on demo tables. Special guests stopped by our booth throughout the show to say hi to players and sign games. 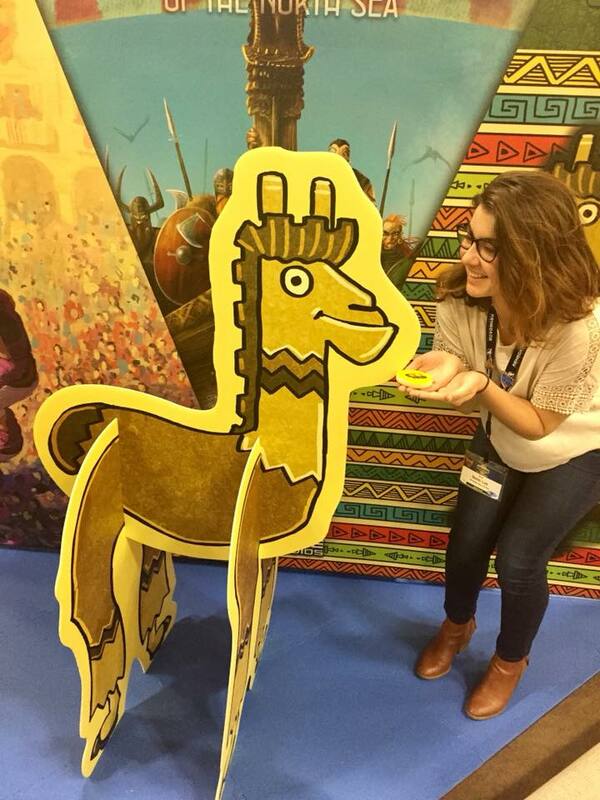 The fan favorite of the show was without-a-doubt Alfonso, the alpaca from Altiplano! We participated in the Pin Bazaar and had an assortment of gamer flair available for diehard fans. In the evening, we hosted a special party for Overlight backers during which designers Paul and George played through a scenario with them! 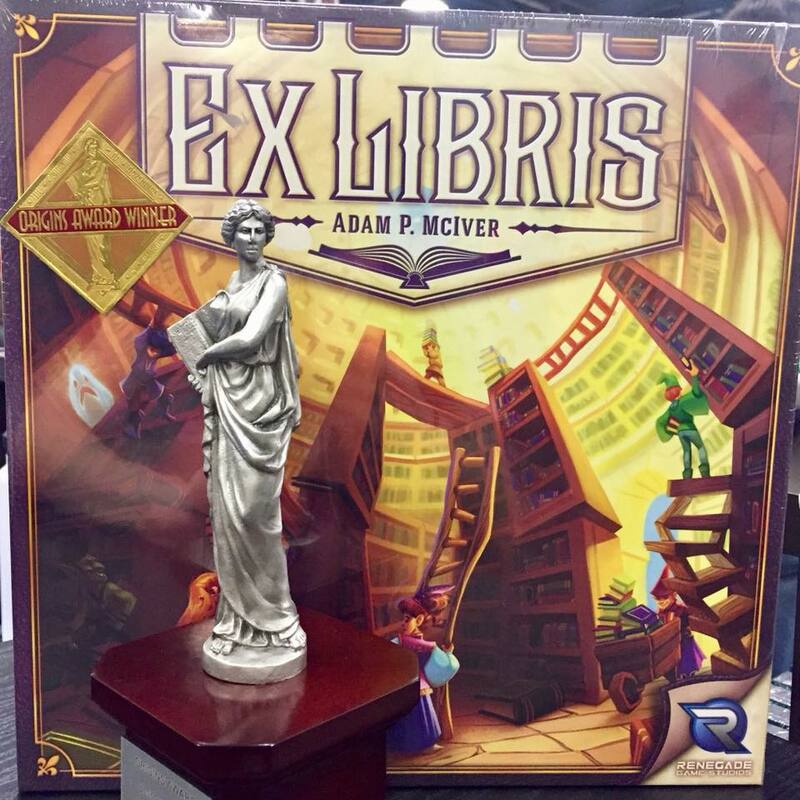 We wrapped up the whole show with exciting news - Ex Libris won the Origins Award for Best Card Game! Lining up to grab the new releases! Controlled chaos is the best kind! Gunkimono demos in full swing! Designer signings and Overlight nail polish! Randy Hoyt and J. Alex Kevern signing! The cast of We’re Alive: Frontier signing! Events area with lots of players! Paul presenting a page of Overlight to VIP backers! 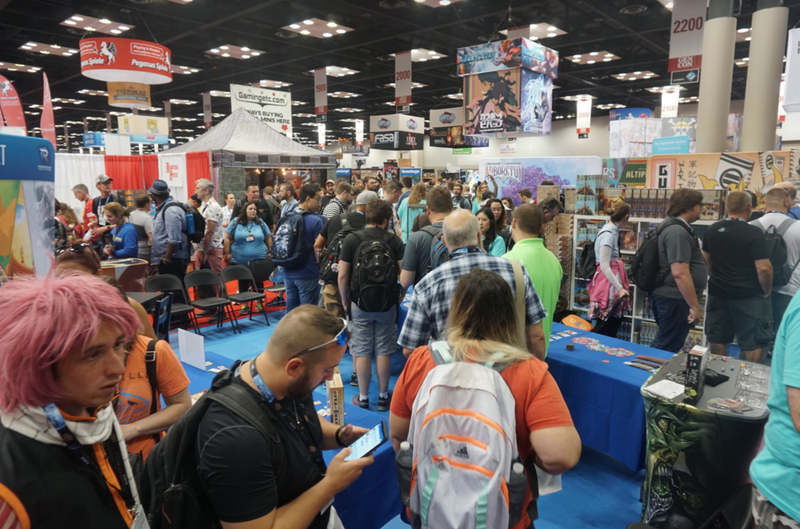 As our biggest event of the year, we were more than excited to travel to Indianapolis, IN for Gen Con in August. 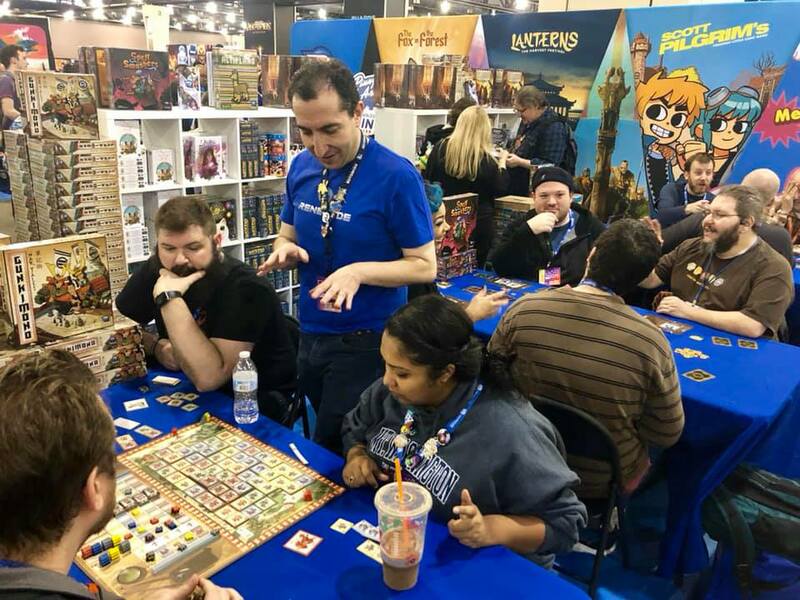 We had two large areas for this show - a giant booth in the exhibit hall and an equally large area in the event hall for all our scheduled gaming sessions! 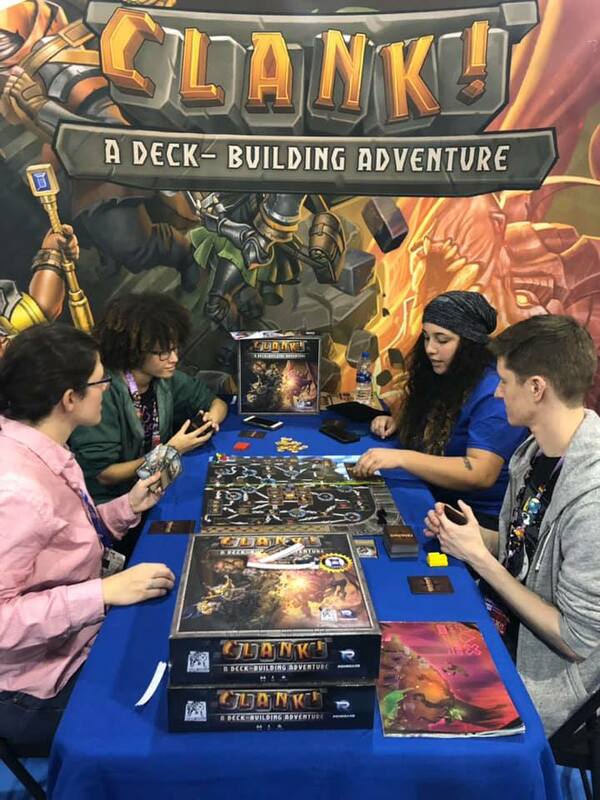 Each morning, as soon as the doors opened to the exhibit hall, there was a mad rush to our booth as people lined up to get the newest releases (Clank! Expeditions: Gold & Silk, Clank! In! Space! Apocalypse!, Gunkimono). 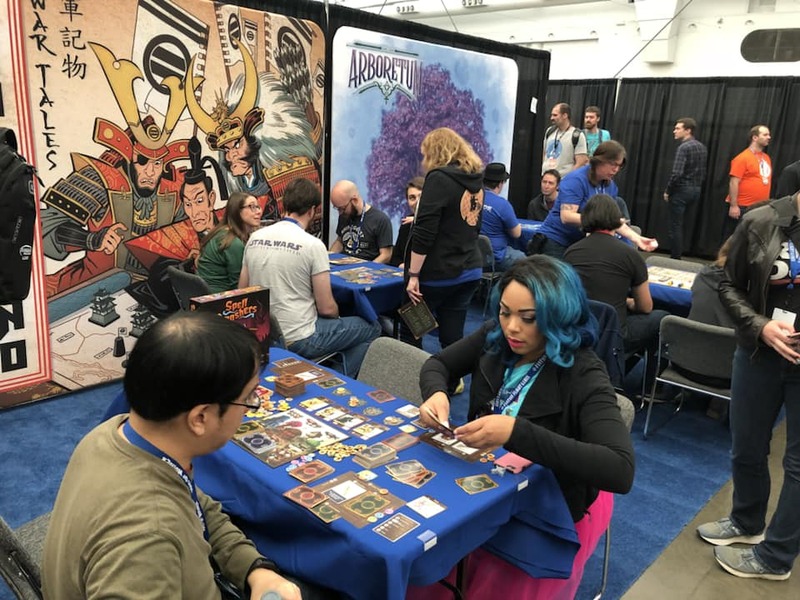 We also flew in limited copies of some of our Fall releases (Arboretum, Spell Smashers) so players could get a taste early. Our sales team packaged up everyone’s haul in an amazing Overlight-themed bag - too cool! Throughout the day, designers held signing sessions for a variety of our games. It’s always so special watching fans interact with the people who have brought them so much joy! Our events area was also a hub of activity, with scheduled tournaments, How to Play sessions, and RPG demos. 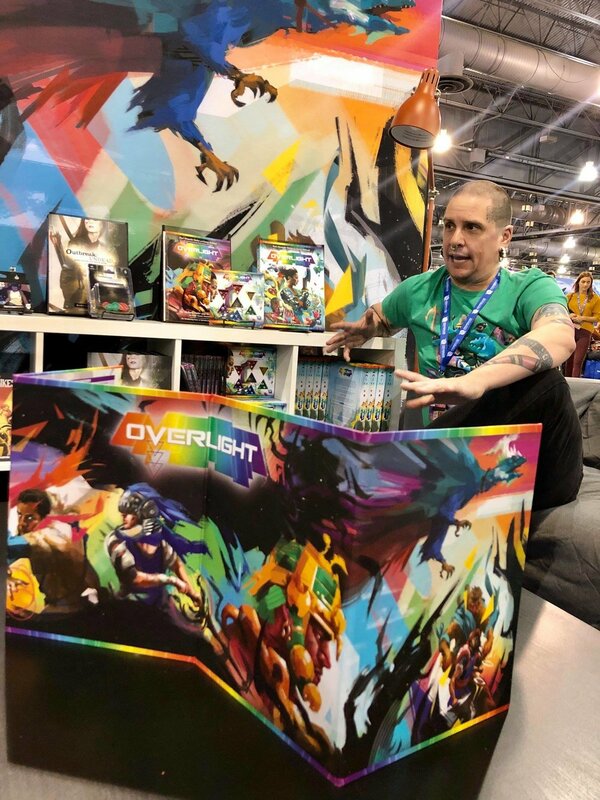 In the evening, we held a VIP party for Overlight backers where they received artwork signed by Paul, George, and Kwanchai. It was definitely a memorable moment for everyone in attendance! A booth full of energy! A full table of Reykholt! Designer Sam Macdonald demoing Architects of the West Kingdom. Kitty Paw in our Young Player booth! In the blink of an eye, it was time to journey across the world to Essen, Germany for SPIEL! 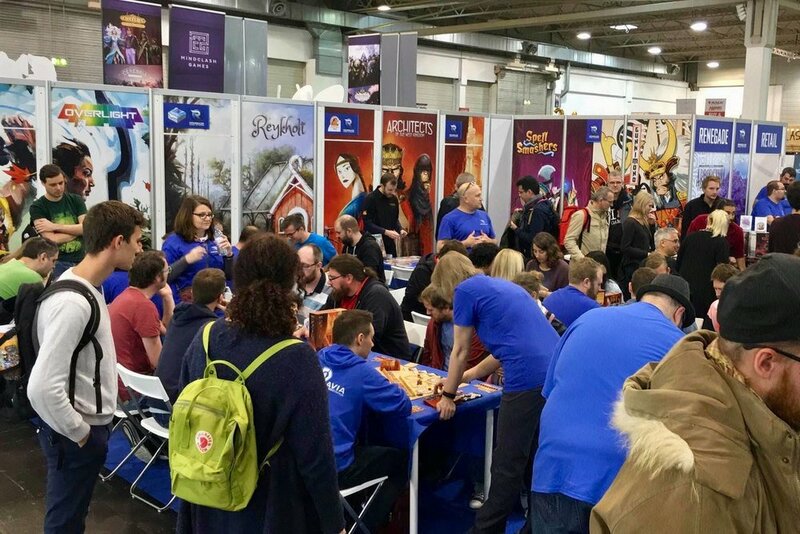 This is the biggest board game convention in the world and we had a lot planned -- so much so that we needed two booths! 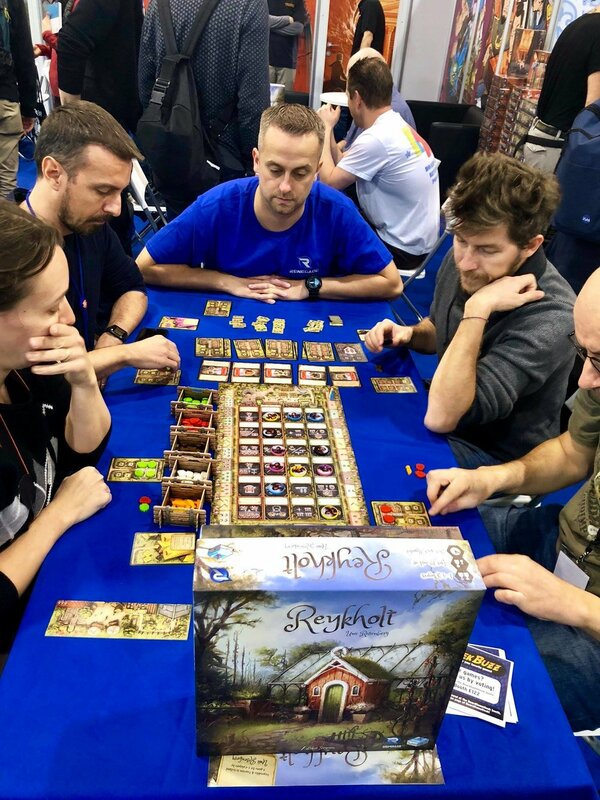 Our main booth in Hall 2 was where we showed off our newest releases, like Architects of the West Kingdom, Passing Through Petra, and Reykholt. Most of the time, Sam Macdonald, the designer of Architects, was teaching players the game! What better way to learn than from the creative mind behind the design? Our team spent most of their time in their offices, planning with partners, making new connections, and meeting with press partners. In Hall 1, the other booth was also busy! This area was focused on our games for younger players and the decor reflected that in a big way! You couldn’t miss the cute artwork or bright furniture from a mile away. At the end of the show, we had sold out of most of our new games and headed home feeling accomplished and pleased. Paul Alexander Butler, co-designer of Overlight! Slinging spells and having fun in Spell Smashers! A rousing game of Overlight in action! Teaching new players Clank! A Deck-Building Adventure! It’s morphin’ time in Power Rangers: Heroes of the Grid! Laying tiles and fighting samurai in Gunkimono! The team behind Kids on Bikes - Heather K. Vaughn, Doug Levandowski, and Jon Gilmour! 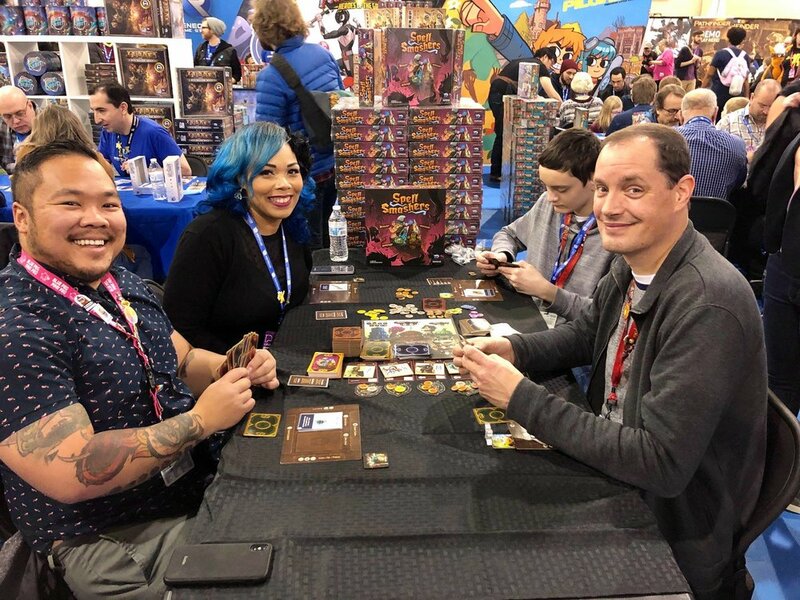 At the end of the year, the team headed to Philly for PAX Unplugged. It was colder than we’re used to, but more than worth the trip! Though this show was only in its second year, it’s become one of our favorites for the year! 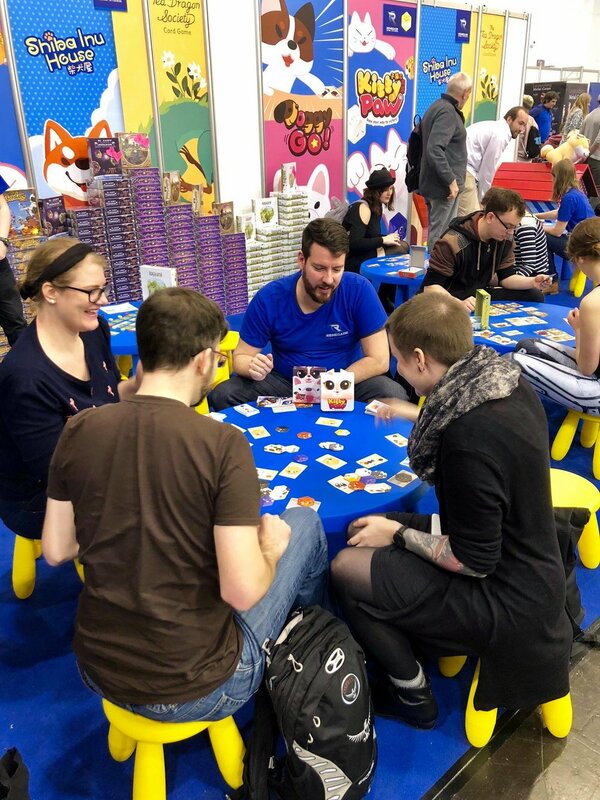 We featured our hot Essen releases at this show and had a booth full of demos. 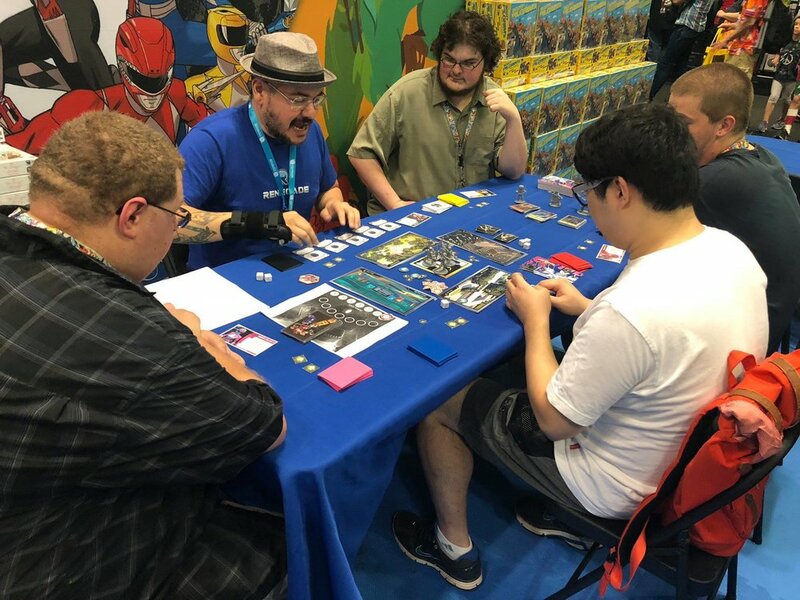 A prototype Power Rangers: Heroes of the Grid even found itself on a table! Designers stopped by our booth, signed copies of games, and took time to chat with fans. We also participated in a few panels during the show! Scott and Sara participated in the State of the Game Industry panel and later, Scott discussed different aspects of the publishing process in a CEO Discussion. What’s even more exciting, however, is the reveal of a teaser for Clank! Legacy: Acquisitions Incorporated at the end of the show! Spell Smashers demo by Mandi! 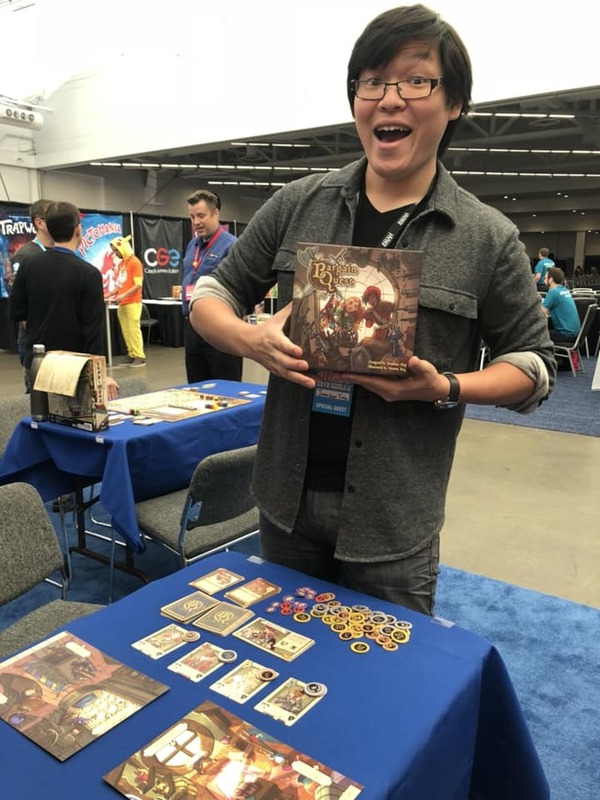 Jonathan Ying, designer of Bargain Quest, excited to play! Learning how to play Gunkimono! 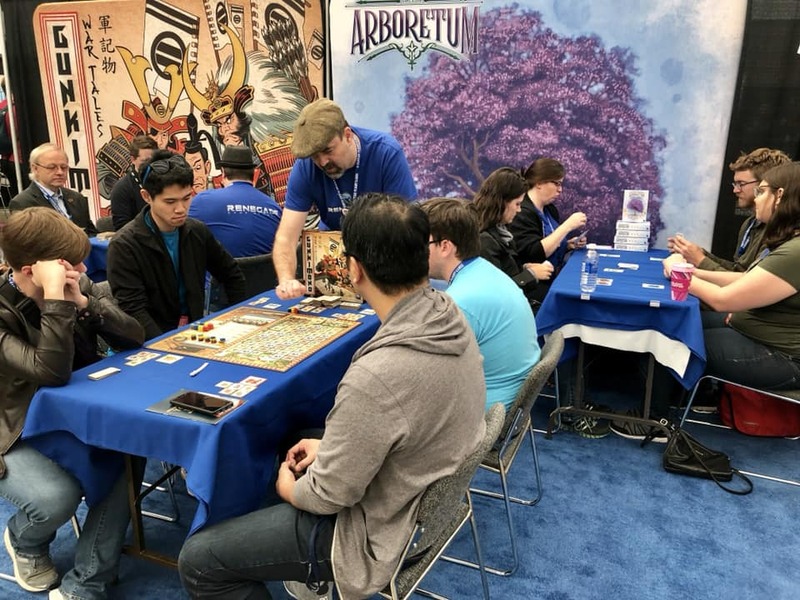 Arboretum was a super popular table! Winner of the Arboretum tournament! SHUX was a new convention on our list of events last year. This show is organized by the members of Shut Up & Sit Down and had some of our favorite members of the community in attendance. 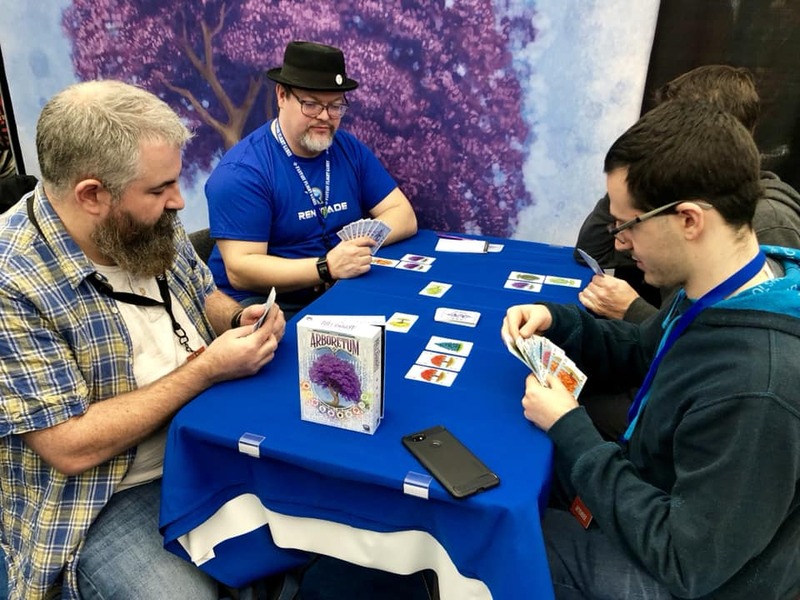 Mandi Hutchinson (Board Gamer Pinup), our personal special guest, lead players on countless lexical adventures during her demos of Spell Smashers. Jonathan Ying (designer of Bargain Quest and Power Rangers: Heroes of the Grid) also spent time demoing at the booth! The rest of the time he was gallivanting around the show, participating in panels and playing games. We also held a tournament for Arboretum! It was an intense event, with sixteen focused players all vying for their chance to win a Deluxe Version of the game. In the end, everyone was a good sport and left the event smiling! Check out Ghostbusters: The Card Game! Putty Patrollers excited about Power Rangers: Heroes of the Grid! Everyone demoed Heroes of the Grid after the picture! On the other side of the continent, we had a booth at New York Comic Con! We took advantage of this different type of nerdy crowd to demo our pop culture-focused games. 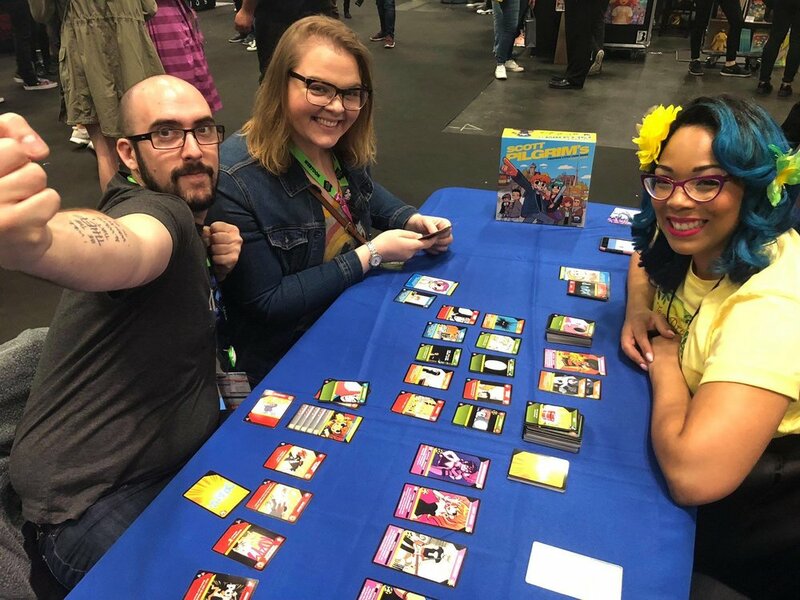 Our partners at Oni Press were right across the aisle selling books while we demoed the game versions of their comics, Scott Pilgrim’s Precious Little Card Game and The Tea Dragon Society Card Game. It was no surprise that cosplay was prevalent at this show, but we were pleased to find so many Ghostbusters that loved Ghostbusters: The Card Game! We also had a prototype of Power Rangers: Heroes of the Grid. Several backers stopped by to try it out for the first time. Some of them were even in full Ranger suits! Eagle-eye view of the booth! Jonathan Ying teaching for the first time! Part Two of the playthrough videos! 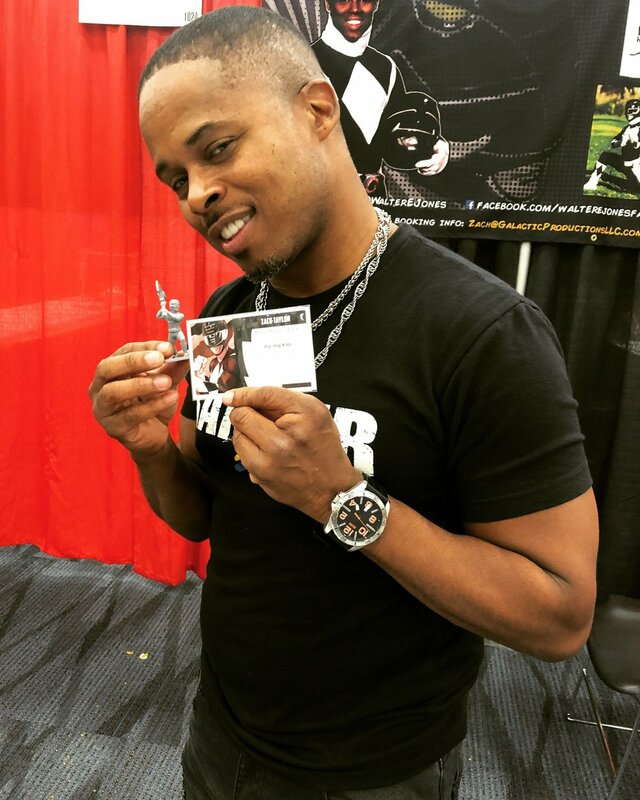 Walter Emanuel Jones and the Black Ranger figure! The original Goldar mask and the figure! The original Red Ranger helmet and the figure! The original Pink Ranger helmet and the figure! The original Blue Ranger helmet and the figure! 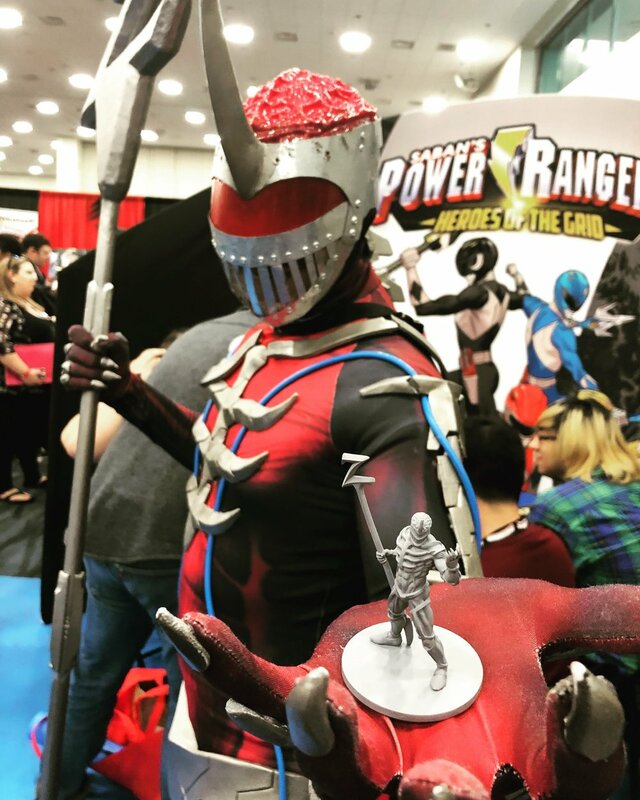 Lord Zedd cosplayer and the figure! Malika Lim as Rita Repulsa! 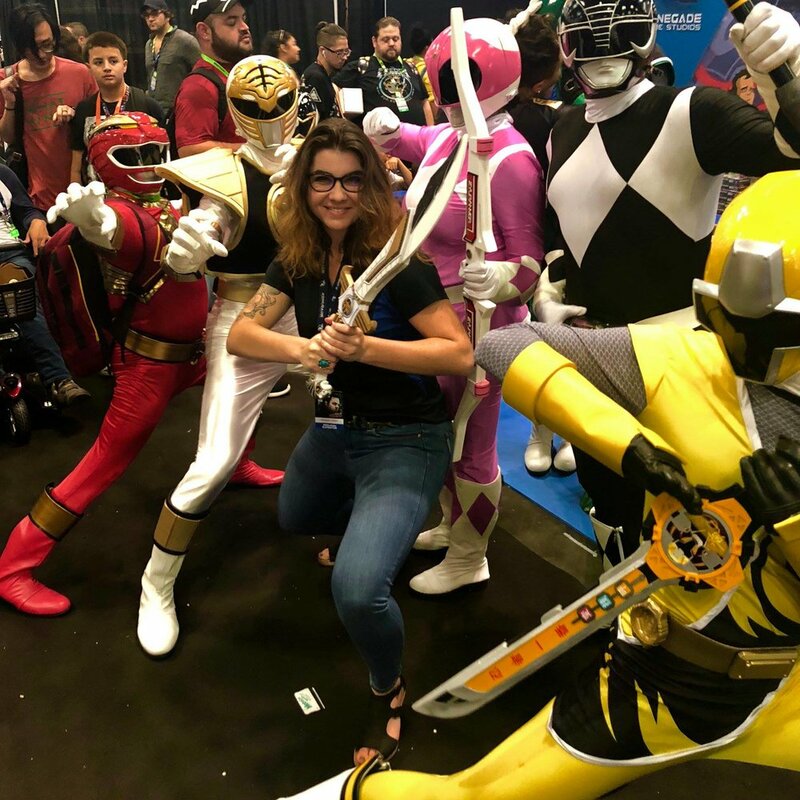 The week Power Rangers: Heroes of the Grid launched on Kickstarter, we drove up to Anaheim, CA for Power Morphicon - the largest Power Rangers-centric show in the country! This was our first time showing the game to players and the response was amazing. We had people return to our tables day after day to try all the different characters and fight different Monsters. Cosplayers were super pumped to see their inspirations in mini form. We even ran into Walter Emanuel Jones, the actor of the original Black Ranger! On Saturday, our booth was rearranged to set up a makeshift studio as we filmed two playthrough videos featuring the cast of Hyper RPG. 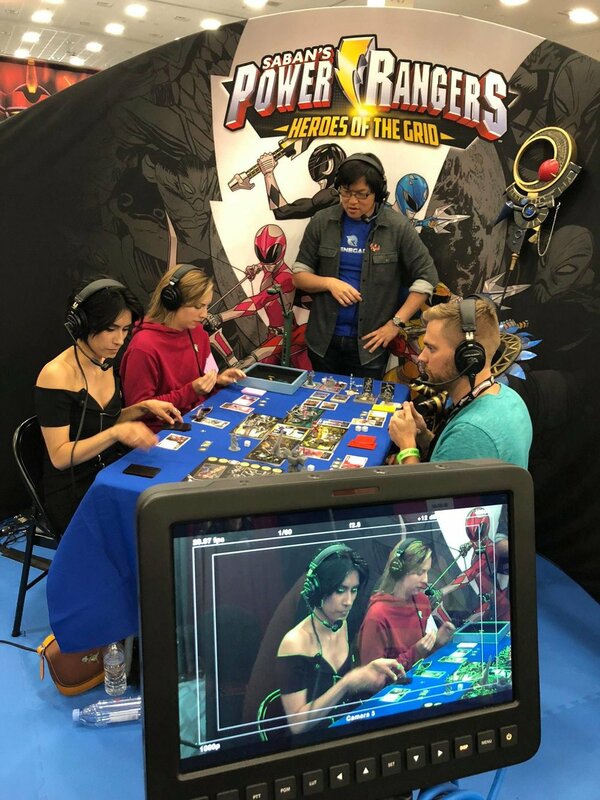 This was an amazing experience for everyone - fans crowded around the booth trying to catch a glimpse of their favorite actor playing this new game. A fun demo game in progress! 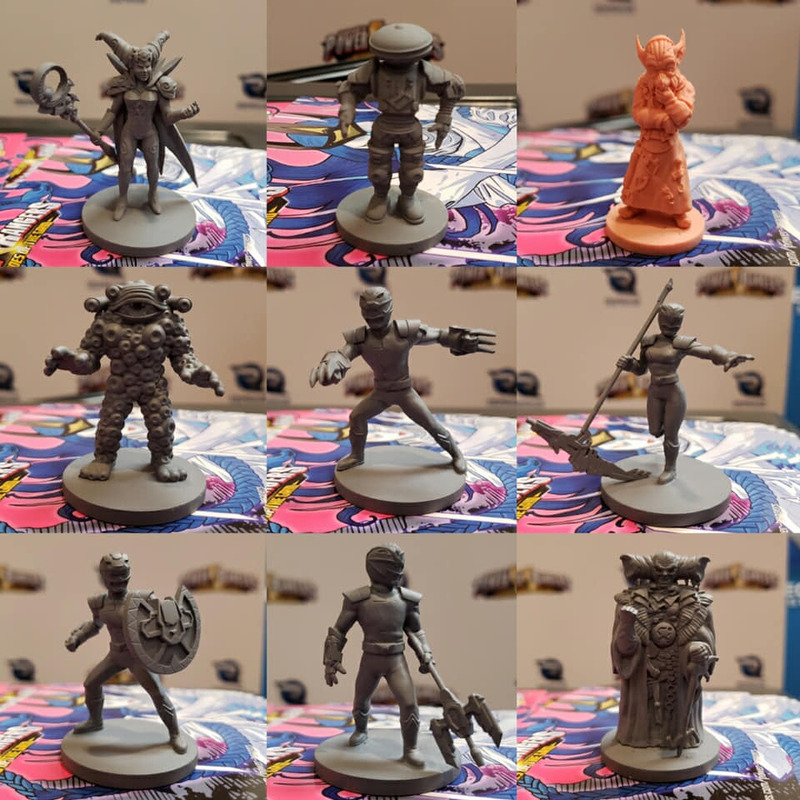 Some of the figures we showed off! Peter Sudarso and his figure from Shattered Grid! Baby Lord Drakkon and his figure! David Fielding, Zordon actor, learning how to play! Red Ranger and Ranger Slayer cosplayers with their figures! 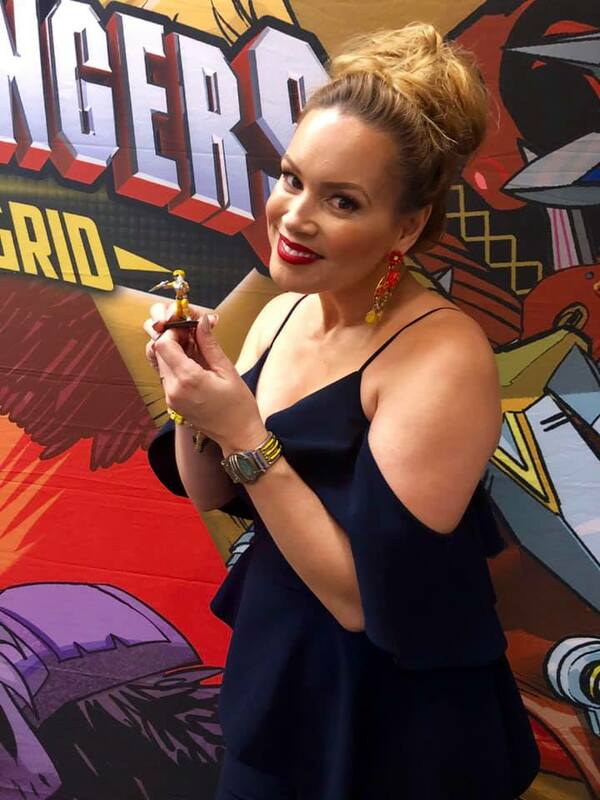 Tracy Lynn Cruz, Yellow Turbo Ranger, and the Yellow Ranger figure! Baby Ranger Slayer and her figure! We found ourselves at a second Power Ranger convention near the end of the year. By this time, we had upgraded our prototypes with near-final components and artwork. 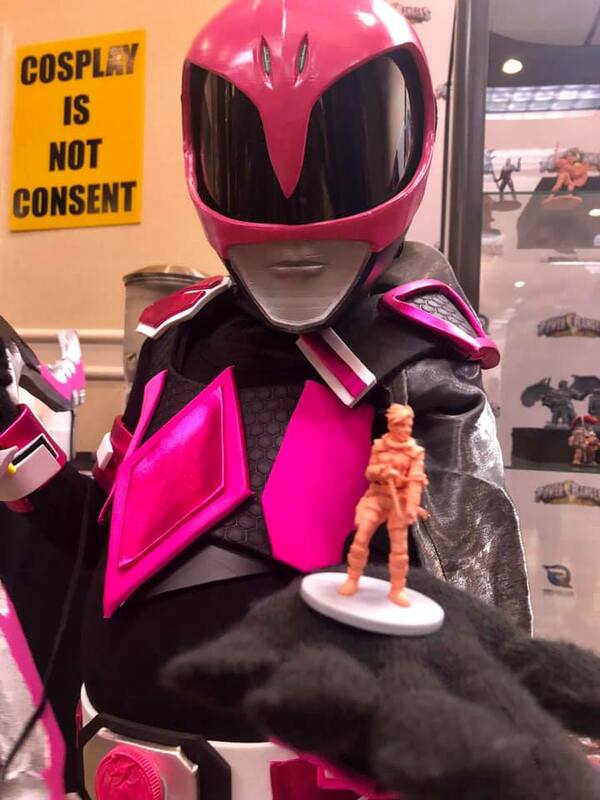 A lot had changed since our first showing at Power Morphicon, not least of all that the Kickstarter had funded by 750% and we had countless figures to show off to fans! We played game after game with people who loved the show and never played a board game and also to backers of the campaign. One morning, we even had David Fielding, the actor who played Zordon, sit down and play with us! 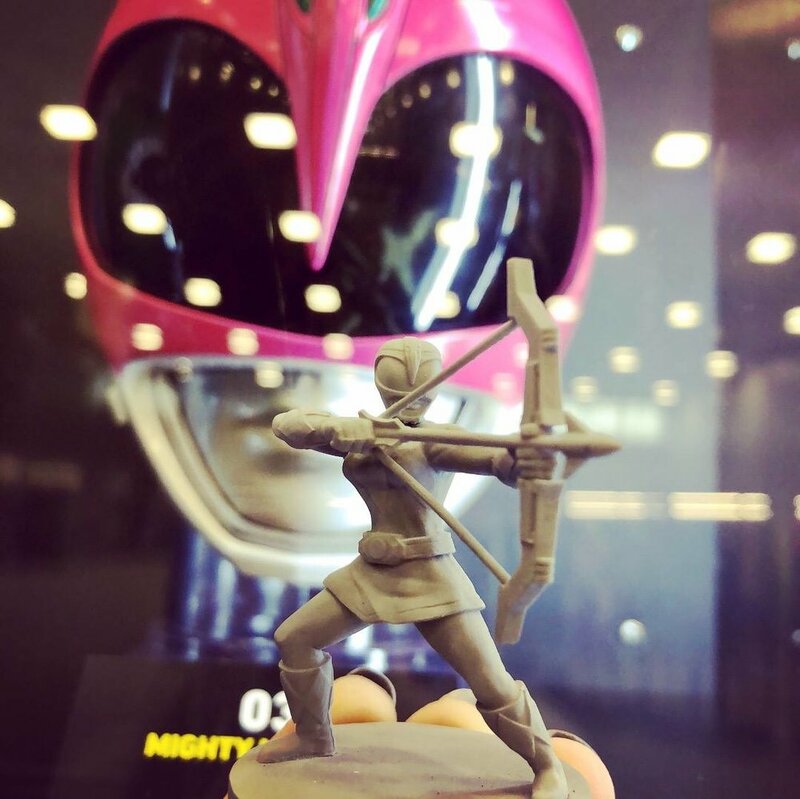 Peter Sudarso, a member of Hyper RPG, was so excited to see the mini of his character from the Shattered Grid expansion come to life too. It was awesome to see so many smiles and hear so many exclamations of victory during the weekend. There’s a lot to get excited about this year, including a few new shows! Renegade has never exhibited at PAX East, PAX West, or UK Games Expo, but we have big plans for these conventions. You can look forward to new pins to collect, a swanky new bag to carry your haul in, many signing sessions with your favorite designers, and exciting events at all these shows. Become a member of the Renegade Society to learn more about what’s to come! Newer PostHappy International Women's Month! 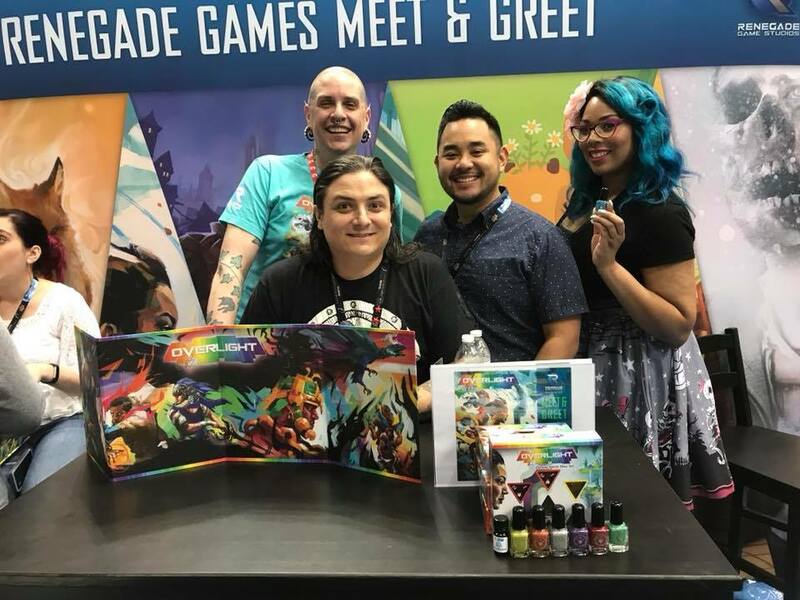 Older PostPAX Unplugged 2018 Recap!